Josep Carmona is an Associate Professor at Universitat Politècnica de Catalunya. He got a PhD at the same university in 2004, under the supervision of Prof. Jordi Cortaldella. His research interests include formal methods and concurrent systems, data and process science, business intelligence and business process management, and natural language processing. He has co-authored numerous research papers and organized various conferences and workshops. He is a member of the IEEE Task Force on Process Mining, and co-organizes the Process Discovery Contest. Prof. Carmona has served on the technical committees of several international conferences in different fields. He received the best paper award at the Int. Conf. on Application of Concurrency to System Design (2009), and a best student paper award with his PhD student at the Int. Conf. on Business Process Management (2013). A PhD supervised by Prof. Carmona won the IEEE Best Process Mining Dissertation Award (2015). Prof. Carmona was a Visiting Researcher at Leiden University (January — September, 2002), and a Visiting Professor at Mannheim University (January — July, 2015). Christos G. Cassandras is Distinguished Professor of Engineering at Boston University. He is Head of the Division of Systems Engineering, Professor of Electrical and Computer Engineering, and co-founder of Boston University’s Center for Information and Systems Engineering (CISE). He received degrees from Yale University (B.S., 1977), Stanford University (M.S.E.E., 1978), and Harvard University (S.M., 1979; Ph.D., 1982). In 1982-84 he was with ITP Boston, Inc. where he worked on the design of automated manufacturing systems. In 1984-1996 he was a faculty member at the Department of Electrical and Computer Engineering, University of Massachusetts/Amherst. He specializes in the areas of discrete event and hybrid systems, cooperative control, stochastic optimization, and computer simulation, with applications to computer and sensor networks, manufacturing systems, and transportation systems. He has published over 380 refereed papers in these areas, and six books. He has guest-edited several technical journal issues and serves on several journal Editorial Boards. In addition to his academic activities, he has worked extensively with industrial organizations on various systems integration projects and the development of decision-support software. He has most recently collaborated with The MathWorks, Inc. in the development of the discrete event and hybrid system simulator SimEvents. 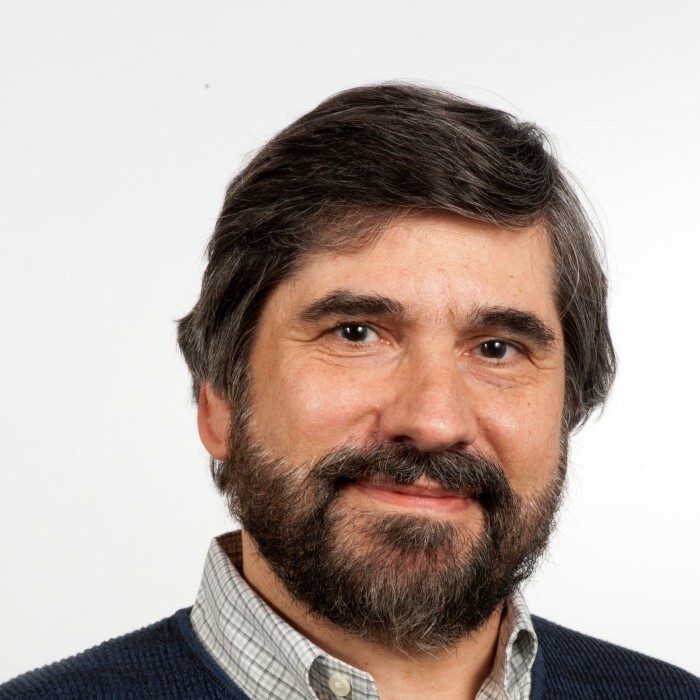 Dr. Cassandras was Editor-in-Chief of the IEEE Transactions on Automatic Control from 1998 through 2009 and has also served as Editor for Technical Notes and Correspondence and Associate Editor. He is currently an Editor of Automatica. He was the 2012 President of the IEEE Control Systems Society (CSS). He has also served as Vice President for Publications and on the Board of Governors of the CSS, as well as on several IEEE committees, and has chaired several conferences. He has been a plenary/keynote speaker at numerous international conferences, including the American Control Conference in 2001 and the IEEE Conference on Decision and Control in 2002 and 2016, and has also been an IEEE Distinguished Lecturer. Irina A. Lomazova is a Professor at the Faculty of Computer Science of National Research University Higher School of Economics , Moscow, Russia. She is also the Head of Laboratory of Process-Aware Information Systems (PAIS Lab). She holds a Diploma and a PhD in Mathematics from Novosibirsk State University, Russia, under the supervision of Prof. B.A. Trakhtenbrot .Then she was Associate Professor at Krasnoyarsk State University, Russia, Senior Researcher in Program Systems Institute of Russian Academy of Science. She is author of two books and over 100 refereed papers concerning program semantics and analysis, formal methods, concurrent and distributed systems, process modeling and analysis. Her current interests focus on formal methods for modeling and analysis of distributed multi-agent systems and process mining. She is a member of IEEE Task Force on Process Mining . She was a Visiting Professor/Researcher at Humboldt-Universität zu Berlin, Germany, École normale supérieure de Cachan, France, Eindhoven University of Technology, Netherlands, University of Turku, Finland, University of Siegen, Germany. Jaco van de Pol studied Computer Science at Utrecht University, and received his PhD from the Faculty of Philosophy in Utrecht (1996) on Termination of Higher-order Rewrite Systems. After positions at the LMU Munich, TU/Eindhoven and CWI Amsterdam, he became full professor in Formal Methods and Tools at the University of Twente, being Head of the CS Department from 2014-2017. He was tool chair of TACAS 2015, and he is in the editorial board of the journals SCP and STTT. He was invited professor at the lab LIPN of Université Paris 13, both in 2016 and in 2017. His research interests include symbolic methods and parallel algorithms for verification and testing. Recent achievements are in scalable multi-core NDFS and multi-core SCC algorithms, and in multi-core Decision Diagram data-structures. These high-performance and/or symbolic algorithms are implemented in the LTSmin toolset, which won several prizes. The algorithms are available through a high-level API to multiple modelling formalisms, like Timed Automata (Uppaal), Promela (SPIN), Petri-Nets (PNML), Process Algebras (mCRL2), DiVinE, and B || CSP (ProB). He applied verification technology in projects on railway interlockings, energy aware scheduling, biological signalling networks, and socio-technical security models. José Ángel Bañares was born in Zaragoza, Spain in 1966. He received the M.S. degree in Industrial-Electrical engineering and the Ph.D. degree in Computer Science from the University of Zaragoza, in 1991 and 1996, respectively. He joined the faculty of the University of Zaragoza as an Assistant Professor in 1994, and since 1999 he has been an Associate Professor. His research interests include Petri nets, Artificial Intelligence and Distributed Computing. He has co-authored numerous research papers and organized various international conferences. Prof. José Ángel Bañares has served on the technical committees of several international conferences in different fields. He is member of the Steering Committee of GECON – Conference on the Economics of Grids, Clouds, Systems and Services, and member of the directive board of AEPIA – the Spanish Association for Artificial Intelligence. Julia Padberg is full professor at the HAW Hamburg (Hamburg University of Applied Sciences), Germany. She has received her PhD at the Technical University Berlin in 1996 within a scholarship of the German Research Council (DFG). She was concerned with the research and management of the research group “Petri Net Technology” (1996 – 2002) and has obtain funding for the DFG-project “Formal modelling and analysis of flexible processes in mobile ad-hoc networks” (2006 to 2011). In 2002 and 2003 she was Professor for Theoretical Computer Science at the University Bremen, Germany. Since 2008 she is a Professor for Theory of Distributed Systems at the HAW. Her research interests are formal specification techniques (Petri nets, graph transformations, automata, algebraic specifications), formal foundation for model transformation, abstract transformation system and category theory as well as verification and model-checking.